In our first apartment (almost 4 years ago!) I copied Korban's idea of hanging artwork with taffetta. 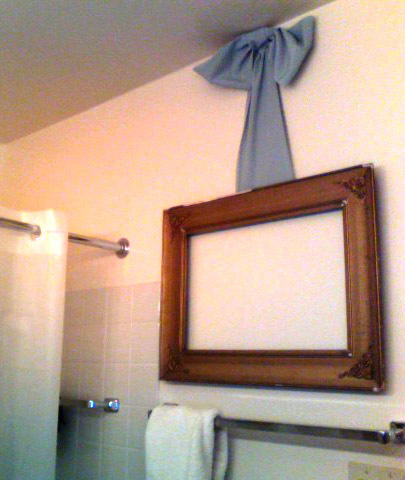 I hung a gold mirror in our bathroom using some kind of silk/tafetta type ribbon similar to his. We also painted our bathroom black this past year and I'd like to think it's my inner Ryan Korban that makes me love it so much. Isn't his kitchen above dreamy? I've seen more recent pictures and it looks like he's changed it and added wallpaper. 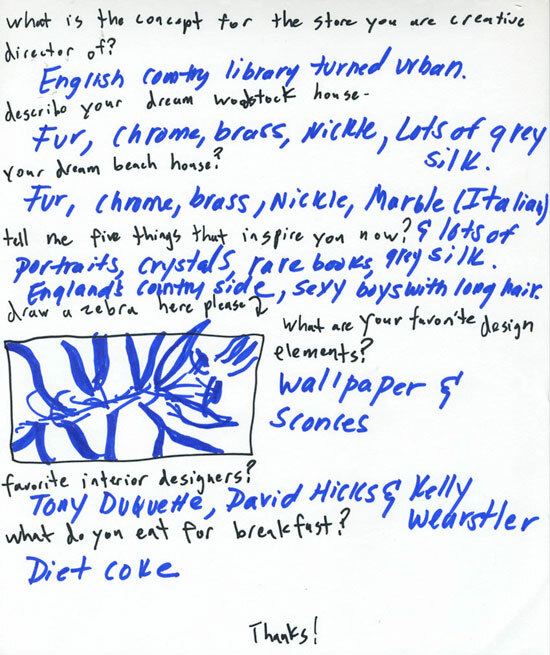 If you haven't checked out Lonny, The Selby, and The Coveteur they are my go to sites for design. At this point in our lives, with Grant in school, we are enjoying using what we have :) and being creative, but I still love to look and pick up things here and there. What beautiful inspiration. Below, a Q&A with Ryan via The Selby (haha, diet coke for breakfast)! Awesome Q&A's on The Selby from tons of creative people! Check it out.